New York Mayor Bill de Blasio, the frontrunner in next week’s Democratic mayoral primary, won’t say whether he supports New York Governor Andrew Cuomo’s re-election bid—not because he can’t stand the guy (though he can’t, and it’s obvious), but because he’s simply refusing to talk to the media about mid-term elections. 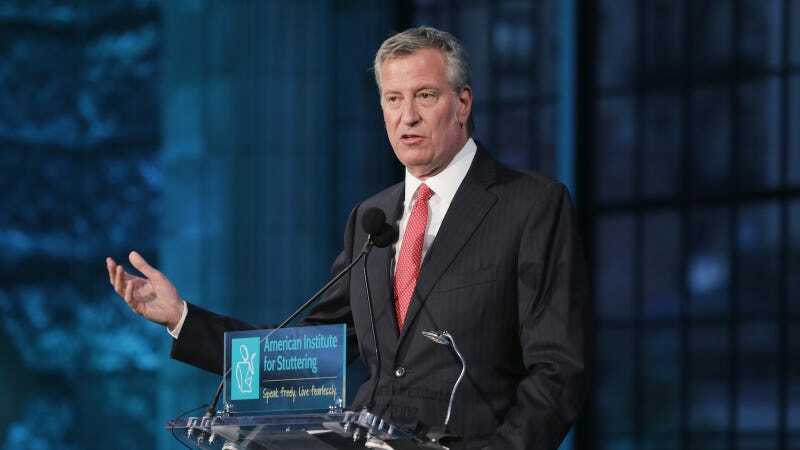 After Smith pointed to de Blasio’s pointed comments from 2015, de Blasio again evaded offering any direct criticism, dismissing the comments as “some of this is structural, some of this is ideological, some of this is just naturally what happens when people disagree on an issue...” Hmmm. Are you open to supporting a progressive challenge to the governor next year?I’m talking about this year. “The state needs to fund the MTA appropriately, which means starting by giving back the $456 million they diverted in MTA funds. And then we all need to agree on a long-term plan,” he said.